MAX Illumination creates custom, long-lasting LED light panels designed to work for clients’ specific needs and built to last. Yantai, China - April 17, 2019 /MarketersMedia/ — MAX Illumination creates custom, long-lasting LED light panels designed to work for clients’ specific needs and built to last. The company manufacturers custom sizes and custom shapes of the specific LED light panel their clients need. Their work is typically seen for ATM and vending machine advertising, shop posters and graphics, and shop counter illumination. Users in need of a LED lighting panel to make their business or space complete need look no further than MAX Illumination’s innovative and precise custom offerings. 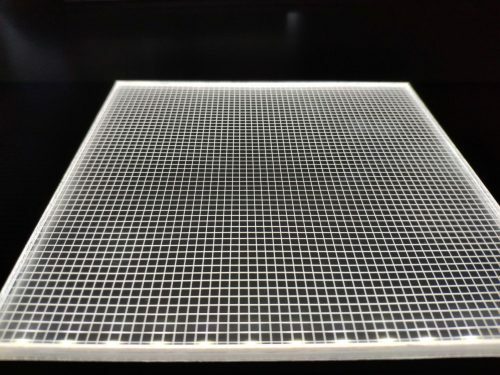 The LED light sheet created by MAX Illumination is used in many different ways. It offers edge lighting technology made to backlight translucent material to give any project a sleep and modern look. It’s the perfect product for cosmetic showcase displays, shop and retail shelving, bar counter lighting, and vending machine signs. For customers hoping to find lighting that enhances their space rather than draws attention to the lighting itself, MAX Illumination’s LED panel is the perfect solution. Users hoping to work with MAX Illumination on their LED panels have much to look forward to. The panels should work for up to 50,000 hours, they are available in many different shapes and sizes, offer high CRI, and have a Kelvin of 3000k to 6000k. The light is bright, pure, and uncompromising, and customers will be able to enjoy their creation for many years. It’s a smart investment. About MAX Illumination: MAX Illumination works hard to provide the best in LED lighting to customers in all industries. They integrate LED strips with acrylic light guide plates to help create homogenous light that is bright, strong, and even. In addition to the LED light sheets and panels described above, MAX Illumination also offers an LED flexible soft silicone rubber tube. These tubes are easily manipulated and come in a wide range of voltage, sizes, and colors. From white to blue and everything in between, the LED flexible soft silicone rubber tube works perfectly for many lighting projects. They can even be carefully shaped to create interesting and unique shapes. The tubing is waterproof and dustproof and boasts a long life. Its energy consumption, even among larger sizes, is quite low, making it an affordable lighting option. The LED tubing is also impact resistant, heat resistant, and offers corrosion resistance. Users can rest assured that their lighting will stay in place and functional for years to come.